Okay, we know we don't need to spend the next two minutes going over the importance of ankle boots. You already know that the perfect pair will carry you through fall and winter in a fashion-forward and effortless kind of way. What we will dig a little deeper into is how to uncover that ideal pair of booties at an affordable price. Sure, there are a slew of gorgeous iterations out there that hit the $500 and above range, but in reality, you actually don't need to spend more than $150 to find an equally-as-stunning pair. To prove it, we rounded up 17 ankle boots that don't look the least bit cheap, despite their desirable price tags. Keep scrolling to shop—and kick your wardrobe into high gear. While you can totally wear on the weekends with jeans, we love these sleek boots for your 9-to-5 life with a skirt, too. Snakeskin prints are legit everywhere this fall. White booties are basically a perennial trend at this point. When in doubt, go for suede for an expensive-feeling look. Yes, it's time to give Western boots a whirl. Just in case you need further proof that white ankle boots aren't going anywhere. Red boots popped up in popularity a few seasons ago, and they're still going strong today. This green hue feels incredibly forward. These combine two trends we love: white and Western. Give anything you're wearing a fresh-feeling twist with these stunners. The pony-hair detail makes these look even more expensive than they are. 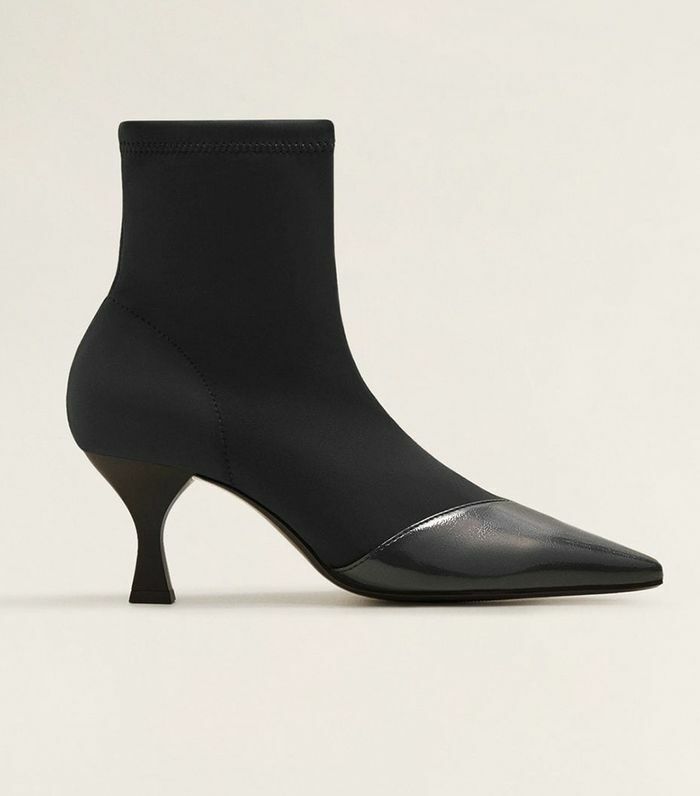 Kitten heels continue to be a favorite silhouette among the fashion elite. Yes, these will go with everything in your closet. Yep. A style you'll wear everywhere. The plaid look is all the rage this season, even in ankle boot form. Give your ensemble that rugged downtown vibe. Seriously. Hop aboard the snakeskin ankle boot train. Next, check out the ankle boot trend women are retiring.